We believe that you should never have to sacrifice comfort for cost. That is why All Air Heating & Cooling Services provides you with our Fredericksburg heating and air conditioning repair, installation, and maintenance services at special prices throughout the year. 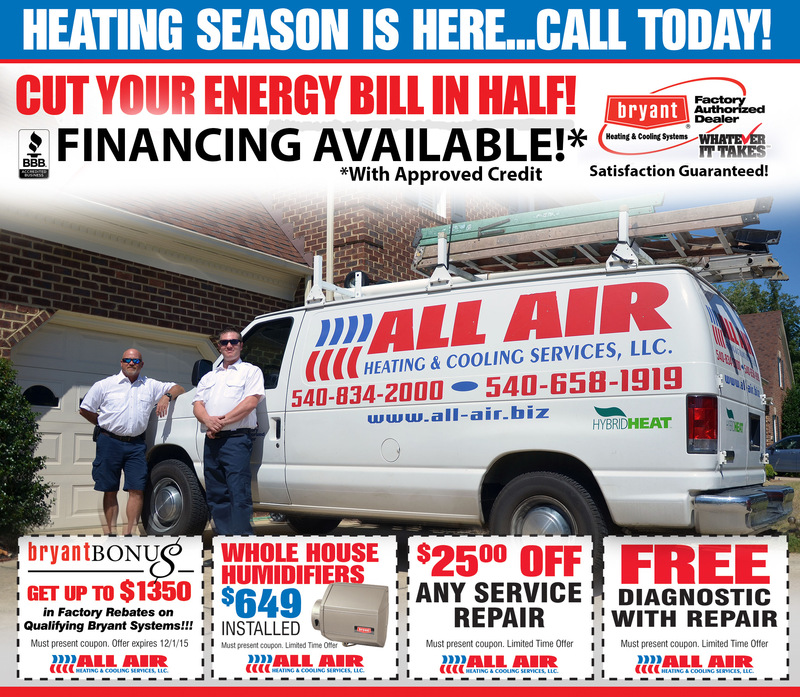 Stop by frequently to see our latest HVAC specials and coupons, and get the kind of quality that you want at a price you’ll love. Contact us today!